Here to serve you, any way you choose. Looking for answers fast? Search our Help Center by entering a question or a few key words. We'll quickly find the most-relevant answers so you can be on your way. Call us 24/7 at 1-800-963-4816 or send a text between 7am – 11pm CT.
A policy so simple, it's only two words long. Make your return at any Lands' End Store near you. Add a monogram to make any item uniquely yours. We'll hem or cuff your pants free of charge. 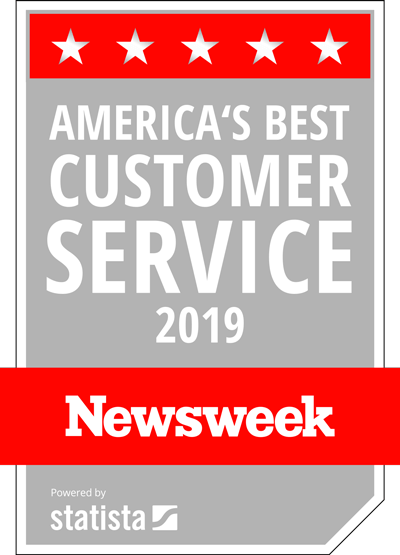 Lands' End ranks first in Newsweek's list of America's Best Customer Service for online clothing retailers. The America's Best Customer Service 2019 ranking was identified from an independent survey of more than 20,000 U.S. customers who were asked whether they would recommend brands to friends or family, and assessed brands in quality of communications, technical competence, range of services, customer focus, and accessibility.